The Houston Chambers Ringers return to the Festival Concert Hall stage on Saturday, November 17, at 3:00 PM. Works arranged for handbells deliver a special "ring" to their musical interpretation. 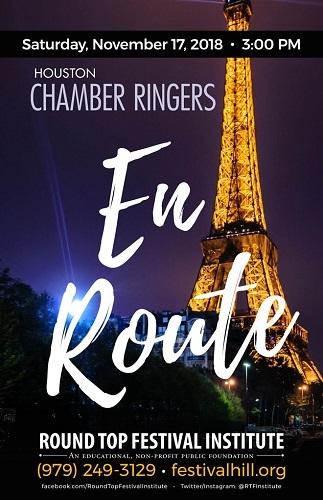 Join us as the award-winning Houston Chamber Ringers present an exciting program which includes music by Claude Debussy, Georges Bizet, P.I. Tchaikovsky and...Willie Nelson! plus more. Adult $25. Student $10.